He attributes the continued spread of Library Hubs all over the country not to money but to the leadership of Beverly Gonda and DepEd undersecretary Teodosio Sangil, Jr., which only proves once more my thesis regarding money and leadership. Meeting Luz was one of the many things that make me glad I went to the Books Across Southeast Asia conference organized by the Book Development Association of the Philippines, which had a substantial number of librarians among the panelists and the audience. Juned, Peachy, Ralline and Rhea. It was Zarah and her spoilers, however, that benefited in terms of traffic, as reflected in the rise of her blog to no. 19 on Pinoy Top Blogs. Zarah also covered National Children's Book Day, Florante provided some notes regarding the ALA Annual Conference held in Washington, DC, last June, Igor and Noel noted the revitalization of the UP Library and Information Science Students’ Association (watch the video to see what LIS students look like nowadays), and the UP Library Science Alumni Association unveiled a new look for its website. Personal achievements worth noting were those by Mila, who co-authored a paper on "Scholarly Publishing Initiatives at the International Rice Research Institute," which was presented in Vancouver; and Melchor, who shared the citation for the award he received as an outstanding employee in UP Visayas. Then there's Arnold, who reported that a library from the Philippines turned down the chance to have its books digitized by Google. He also refers to this blograrian as an "established" blogger, who supposedly earns "some money (over $1000)." I've been blogging for more than two and a half years, and all I can say is, "I wish!" By the way, in case you think working in libraries is boring, take a look at what Vhessa has to say: "The Library Is SO Not Boring!" And if you think librarians are boring, take a look at them fire breathing and dancing. See also "C. S. Canonigo Replies." I was not born yesterday. The speeches enumerated above were taken from my blog. They were delivered in English, and I translated them into Tagalog. But no mention is made in the book, for which you have claimed copyright, of the original language in which the speeches appeared or of their translator. Could it be that you made your own translations, and it just so happened that the words you used corresponded exactly with mine? But how do you explain the fact that the last words of "Sa Kabataan" (Onofre Pagsanghan), pp. 47-49, are the same as those of my post? I think it is too much of a coincidence that you acknowledge the same persons that I did in the exact same words that I used: "Thanks to Ronald Cabunagan and Francis Alvarez, SJ, for their assistance in obtaining the text." You have violated both of the conditions and I certainly did not grant permission because it was not sought. Hence, I demand that you pull out all the copies of the book from all distribution outlets by 30 September 2007. If you ignore this demand, then I will be forced to take legal action, not to mention use everything at my disposal—including the choice words I have refrained from employing thus far—to make sure that everyone who might possibly buy the book knows that you reap where you do not sow. It's official. I will not just be attending the upcoming Manila International Bookfair, but I will also be part of one of the official events. After posting "Seminars for Librarians," I got an email from Read or Die (RoD) apologizing for the premature inclusion of my name as a speaker, and asked whether I would agree to be a panelist for a session. After verifying that the topic was within my comfort zone, I said, "Yes." I don't know whether anyone will still be around during the last few hours of the bookfair, but I certainly hope to at least meet the people behind RoD, who have been doing such an amazing job. The list below is based on the one provided on the official website of the Manila International Bookfair (MIBF). Additional information has been provided based on emails I have received. If no speaker or price is indicated, this means that no other information could be found. Please note, though, that my name also appears on the MIBF site as a speaker (?) for an event that I have not been invited to attend. This tells me that the MIBF list will probably still change. Philippine Librarians Association, Inc. (PLAI), National Book Store and Anvil Publishing, Inc.
What is the state of librarianship in the Philippines? I think the fact that PLAI and PATLS do not have websites says a lot about "Philippine librarianship in the 21st century." 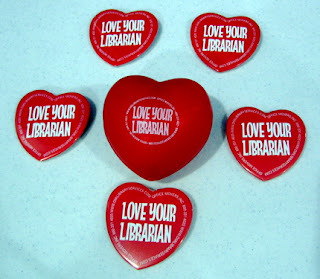 And of those librarians' associations that do have websites, some have not been updated in years. There seems to be a disconnect between what has been said—and will continue to be said—at seminars and conferences about the skills librarians need today and what is actually being done by those responsible for the continuing education of professional librarians and current and future LIS students. True, updated websites alone are not enough to pass judgment on the state of a profession. But people still, in fact, do judge books by their covers. And websites that don't exist or haven't been updated in a long while are not much different from librarians who are taken for granted by administrators because they hardly ever speak up about their accomplishments. You do not have to be a member of a Filipino library association. Neither do you have to be physically in the Philippines. Heck, you don't even have to be Filipino or a librarian. As long as you are interested in "the Philippines, Filipiniana, Philippine libraries and Filipino librarians," you're welcome to join the group. I have mentioned the group in passing since then on this blog, but I was surprised to find out that I have never actually devoted a post to the group until today. And yet its membership—composed of Filipino and foreign librarians and non-librarians, LIS students, spammers (! ), relatives and friends—has grown to 437, and the discussions have apparently helped quite a few people. If you would like to join the group, just input your email address in the appropriate box in the sidebar on the right. I'll take pictures of all the group members I meet at the MIBF and post them here. If I meet more than six, then I guess I'll have to raffle the buttons and stress ball, which were given to me by the people at Office Movers at SLA 2006 when I told them that I really liked the pin I got the previous year. The video above is of the first two minutes of the lecture by F. Sionil Jose on "History as Literature" at the Ortigas Foundation Library on 16 August 2007. Permission to post the video online was obtained from his wife Teresa. I suppose I could blog about what he said during the rest of his stimulating lecture, but I decided that aside from further delaying my first post since I arrived in the Philippines, writing about what he said would probably not add anything new to what has already been said about him. In a few hours, I will be taking a plane home to the Philippines. It's been more than a year since I left on a jet plane and it took a while before I became homesick, but now that I'm finally on my way home, I'm not quite sure what to feel. I look forward to all the comforts of home and seeing family and friends once again, but I know that it won't be all quite the same as before. And then there's the fact that I'm actually going home to do research for my dissertation, not just taking a vacation. Well, tomorrow I'll be home. AHON Foundation—whose work was the subject of the PCIJ article "Libraries of Hope"—has launched "Isang Milyong Aklat, Isang Milyong Pangarap" (freely translated on their blog as "With a million books, we can help build a million dreams"). The PCIJ article is reproduced on their blog, but aside from that, there is no other information on what will be done with the books. I hope that the philosophy behind the foundation's work with the Marikina libraries (see "Literacy, Reading and Book Donation Programs") will be the same for the book drive, and that some librarians or LIS students can become volunteers. I also hope that some librarians are already involved at the higher levels because even with community involvement, if there is no one looking out for who will organize the books and "sell" reading to the members of the community, then the books will probably take a back seat to the no-effort-involved TV shows that many Filipinos watch all the time. August is Buwan ng Wika (Language Month). Supposedly, Filipino is the national language of the Philippines, but if you speak a language spoken in the Philippines other than Tagalog, you are probably unlikely to accept that Filipino (the language) is Tagalog (and it's not). As Horacio de la Costa once put it so eloquently: "If we must needs give currency to our thoughts, we are forced to mint them in the coinage of a foreign tongue, for we do not even have a common language." The "foreign tongue" to which De la Costa alluded was, of course, English—the same one that I use to write on this blog, and the one that I've learned is actually a better alternative to Tagalog in certain parts of the Philippines. The video below, found through Filipinayzd, shows very clearly why I was right to switch from Tagalog to English while I was in Cebu a few years ago. The first was written by an educator, and you may want to read it if you don't really have much time. The second is by a linguist, and is much longer and more academic in nature than the first. The third is by a lawyer-blogger, and the blog post's subtitle, "A Guide for the Perplexed," indicates what I liked about it: it's scholarly and it has footnotes, but it's very readable. In the meantime, you may wish to join the writing contests organized by the KWF (Rules | Form) and Pinoy Blogosphere (Wika2007 Blog Writing Contest). The deadline for the former has been extended to August 15, while the deadline for the latter is August 18. The theme for both is "Maraming Wika, Matatag na Bansa" (KWF translation: "A gift of tongues for a strong nation"), which indicates, perhaps, that Buwan ng Wika will not anymore be just a celebration of the Filipino language, but of the many languages of the Philippines.